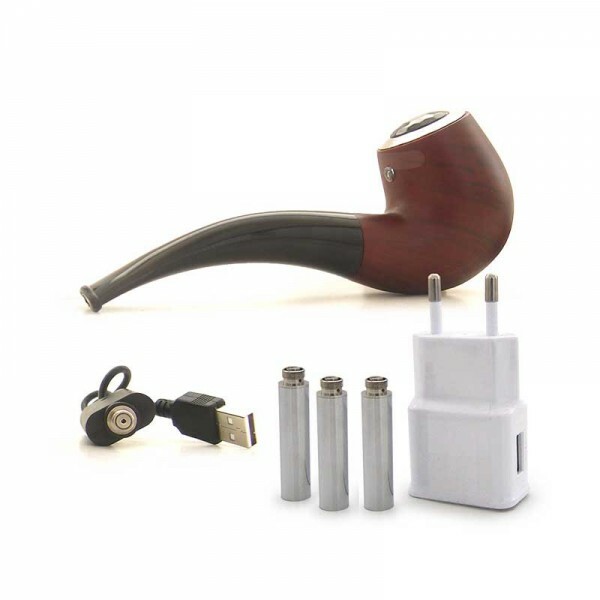 eCig e-pipe 510 carto eCig e-pipe 510 carto mini 628 kit Wooden hand made Mini Pipe e-cigarette fit for all eGo/510 thread atomizer. The eCig e-pipe 510 carto has a 510 Connector with excellent Mechanical Mod, is using cartridges and it is recharg..
Joyetech eGo-T Starter Kit A revolutionary new filling system------ the Tank System, has arrived to us. No more constant dripping or cartridge filling, let the Tank System do this for you! With this sealed tank unit, an easier smoking is waiting f..
Joyetech eGrip II 80w Kit (Standard Version) eGrip II, a new version of eGrip, is more elegant and more handsome in appearance. It applies the new V4.03 firmware with RTC(Real Time Clock) display. TFTA-Tank technology and the dual battery protect..
Joyetech eGrip Set - Refurbished eGrip is the first built-in atomizer e-cigarette from Joyetech. It features not only a transparent liquid window but also a 360-degree regulation ring to adjust output wattage(8W-20W). Moreover, air flow can be ..
Joyetech eGo AIO eGo AIO, being all-in-one style, attaches the best anti-leaking structure with 2ml e-juice capacity. It applies childproof systems: pressure twist cap of tank and five-click fire button of power supply. It is simple and convenient..
Joyetech eGo AIO Box eGo AIO Box, being all-in-one style, attaches the innovative anti-leaking structure with 2ml e-juice capacity. It is powered by a 2100mAh built-in battery. Childproof structure is applied, simply twist the cap with pressure. I..
Joyetech eGo AIO D22 eGo AIO D22, being all-in-one style, attaches the best anti-leaking structure with 2ml e-juice capacity. Made of environmental plastic, its mouthpiece is of an unique spiral design. It has newly added childproof lock keeping c..
Joyetech eGo AIO Pro-C eGo AIO Pro C, being all-in-one style, attaches the best anti-leaking structure with 4ml e-juice capacity. It's powered by single replaceable 18650 battery. Large airflow inlet can be achieved directly from both sides. It is..